The sleep system carrier is attached directly below the main pack. When the sleep system carrier is secured, the top opening is oriented 180 degrees to the frame for easy access to the flap and opening. 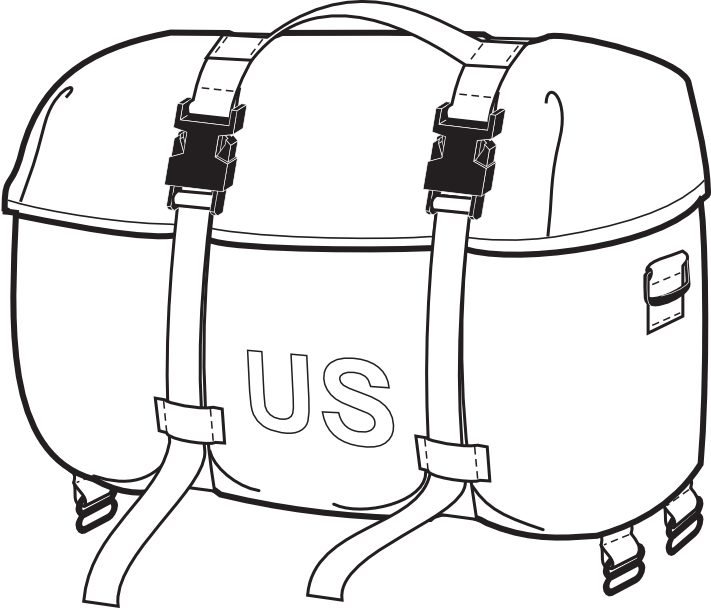 The straps which hold the main pack are inserted through the webbing loops on the sleep system carrier to prevent the sleep system carrier from bouncing.